Redbrick’s Values What can you expect from us?. Redbrick Construction offers a whole range of building services in Sutton Coldfield that can add value to the family home. To us it doesn't matter whether we are desiging, planning and building a double storey extension or putting together a small patio for the backgarden every customer gets the same level of service and aftercare. 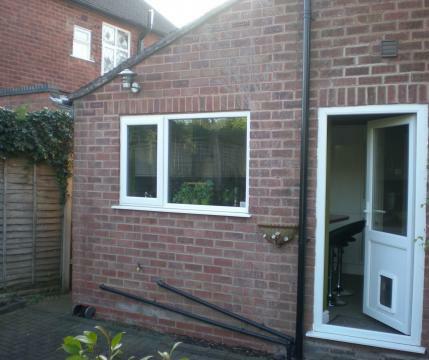 We have builders in Birmingham, Lichfield, Burton On Trent and Tamworth. We have a reputation for being perfectionists and taking pride in our building work. Please read our testimonials for yourself. Listening: we want to understand your tastes, lifestyle and what your specific requirements are. It is vital that we help you visualise the project so we can get idea of what you want to achieve within the budget you have. Quality Workmanship: this close attention to detail is then futher reflected in the high quality of workmanship throughout the delivery of your building project. Aftercare: after finnishing the project it is so important to us that the end results match your original expectations. Secretly we in fact aim to exceed those expectations where possible. As professional builders, we pride ourselves on forming very good working relationships with our clients. Not only will we keep in constant communication with you at every phase of the project but we never loose sight of the fact that we will be working in your home. Redbrick Construction will focus heavily on minimising disruption to your family routines and ensure that the site is left tidy at the end of the day. Delivering the project on time, with a quality finnish, whilst minimising disruption to your home is a service that is hard to get right but that is what Redbrick Construction specilaises in.